Our little brave boy is waiting for you! 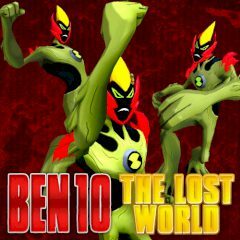 Play as a Ben10 and help him to save this world from all bad robots. If you are ready for such a fantastic challenge, then do not waste your time and play it! Use all tips and stay alive as long as you can! Good luck to you! Welcome to the cool world of Ben10! You can choose his power and clean his world from all bad guys. You will have to try to do everything in order to survive on this planet. You must be very careful not to die too soon! Just shoot fireballs, therefore, collect bonuses and fight for your life. Hold and enhance yourselves in today's unique online game. Feel free and stay alive as long as you can. Just use the arrow keys to control the character and mouse click to shoot. Do you think that it is so easy? Then try it!